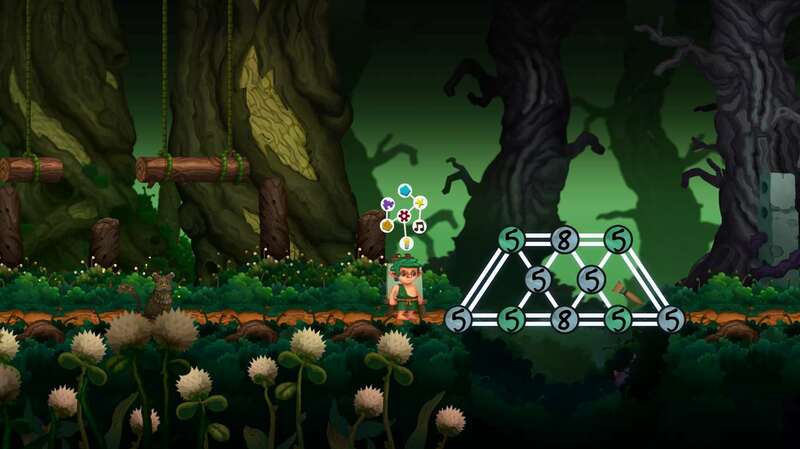 The Path of Motus has been in development for 3 years, but now it’s gearing up for a release on Xbox One, PS4 and PC. With the game exploring the psychology behind bullying, and featuring a verbal combat system where words have the power to destroy, it is a hugely interesting affair. There is one main man behind it too – that man being Michael Hicks. We caught up with him for a quick chat about the game, and how it all came about. Hi. Please introduce yourself – what has been your role in the creation of The Path of Motus? Hey! My name is Michael Hicks, and I’m an independent game designer and musician. I also handle all of the programming and writing for our games. My friend Goncalo Antunes draws all of the art. So, sell it to us… why should gamers buy The Path of Motus? So let me give a quick pitch, and then explain what I think is unique about it! 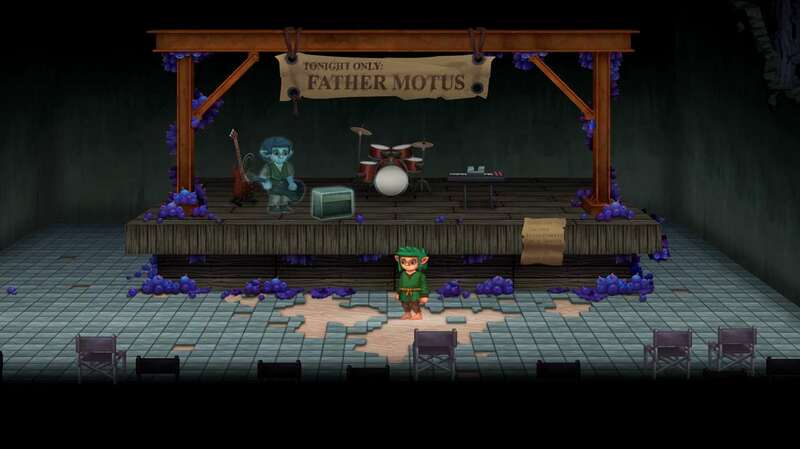 In the game you play as a goblin named Motus who’s from a village that’s trapped inside a forest; anyone who attempts to leave returns hopeless and defeated. Determined to break new ground, he plans to build a series of bridges through the forest, but in between doing that he meets bullies that use their own words to stop him. To me, the unique part of this game is how the gameplay is married with the story. As a gamer, I often feel that the story and gameplay mechanics feel distant… and many times they completely contradict each other! Each section of this game was designed to express a specific idea, and those ideas get tied in with the narrative. I can’t think of another game that approaches the design in this way, so I’d say that’s the main selling point of the game. It’s also fun and challenging I think, if you don’t care about the story parts haha. There are some obvious metaphors included in The Path of Motus, like the forest being the journey from childhood to adulthood and some of the other sub-plots such as the factory setting and Camena as well. A lot of people will be able to relate to these experiences no doubt, and I guess that must count for yourself as well? What made you decide to be so open about your experiences? Well, it became obvious from the beginning that people are going to notice the game is about personal experiences from my life. The game was made by a team of two, so obviously it will feel personal and all that…. I just decided to go all in and not hide behind anything. In my life, there have been albums and films that I’ve really connected to and it was only because the creators were so honest and direct about their experiences; I wanted to do the same with Motus. The majority of things in this game I’ve already processed and moved on from… so I have a pretty good idea how they shaped my life and where they should fit into the game. This openness also seems to extend to your YouTube channel with your video Making Video Games from Nothing and your Intro to C# Programming series, and reading the comments section things come across as being positive as well. How did the C# Programming series come about? When my last game Pillar came out people started emailing me about how to get into game development. Also, in real life when people find out about what I do they always ask for advice because their kids want to make games or something. Eventually I was just like “I’m repeating so much of this info I just need to make some Youtube videos to send people to.” It seemed like an easy way to help people and give back a little bit! There was a moment that really stood out for me when playing as Motus, and it’s a conversation he has with another goblin where he states something along the lines of “If you can’t beat them, join them” but the way it’s played out it comes across as bad advice. That could be my personal take on it from experience. But then I was convinced it meant something more because it was the scene that was replayed at the end of the game, almost to really drive the point home. What were your reasons behind that scene in particular and its’ repetition? I think humans have a tendency to shut out any criticism, especially if the majority of people they’ve interacted with in life are jerks. It starts to become hard to tell the difference between sincere constructive criticism and people trying to bring you down. As people my age say, “everyone’s a hater.” In the game, the goblin that says this is actually voicing legit criticism about Motus’ behavior… but like you mentioned, it comes across as bad advice or something. I’m not sure if you picked up on this, and I don’t want to spoil the game, but if you actually listen to what he’s saying the entire game experience takes a 180. There’s a reason why that scene repeats and you’re taken back to the beginning of the game! Right after the game rewinds, the young goblin you talk to also says something important. It could be you haven’t finished the game yet! Another mechanic that stood out for me has been whenever Motus defeats an enemy, ‘exploding’ into a puff of words and phrases; what were the phrases? They looked like complete sentences rather than just the words I was attacking with but I could never read them in time! So, back in 2012 I made a prototype of this game in like 3 months. I’m pretty sure this explosion particle is the only piece of art that made it from the prototype to the final version. It’s been so long I can’t even remember what it says… I wanted it to be hard to read and obscure. I think it says something like “I’ll never give up”, among other things haha. I also got the impression the poems Motus wrote were from different parts of your life. Is that correct or were they solely for this game? I wrote them for the game, but they were based off my state of mind during different parts of my life. I have a weird memory where I can remember certain things perfectly. Some of the dialogue in this game is word for word things that were said in real life! Sometimes my friends get weirded out by how well I remember random things that happened like five years ago. Then for the combat itself, how did you decide to use particular words as the projectile? Well, the idea for this mechanic came about for story reasons… usually creative dreamer types get a lot of push back from people that say their ideas will never work etc. Originally, the mechanic was charge based, meaning that the longer you held on to the fire button the more powerful the word was. But I felt that didn’t give enough interesting gameplay scenarios so I changed it to the current system where there are three different words and you have to match what the enemies are saying. I also wanted it to be like a mini conversation… so if you notice whenever the bully shouts “stop!”, Motus’ response is “why?”. I originally wanted them to shout so many words that they yell full on conversations, but that idea didn’t execute well! Bridges are another metaphor used in real life for human interactions (building/burning) but specifically for the game, how did you design these puzzles and the line puzzles in general? The line puzzles in this game are interesting to me because I designed each section to express a specific idea that goes along with the story. Specifically, the door puzzles link directly into the poems you find. 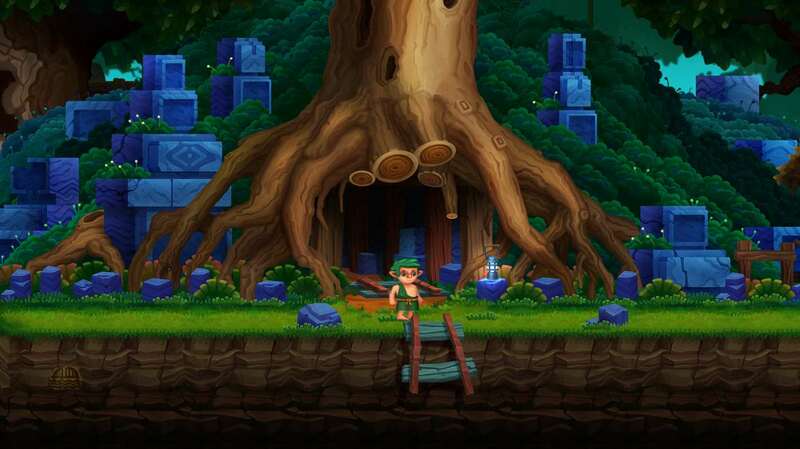 The first door you come across is in the cave, and you read a poem about Motus feeling isolated from everyone but no matter how much he wants to be alone he’ll always be connected to other people. Then immediately after that you solve some line puzzles on the door. I designed these in a way where most people intuitively want to isolate the nodes into two partitions, then a voice over from the poem plays and people understand the lines can’t be isolated, they must all be connected. Each door you come across does something like this, which I’m really proud of! Away from The Path of Motus, do you have any further ideas in the pipeline? Will we be seeing something completely different from you in the future? I’m not sure I’ll make another full length game anytime soon! This took three years and was very draining. My plan is to switch gears and make some shorter games, maybe even episodic games that can be connected to form a larger game. I’m also interested in exploring different genres of games like comedy or satire. We’ll have to see what happens! 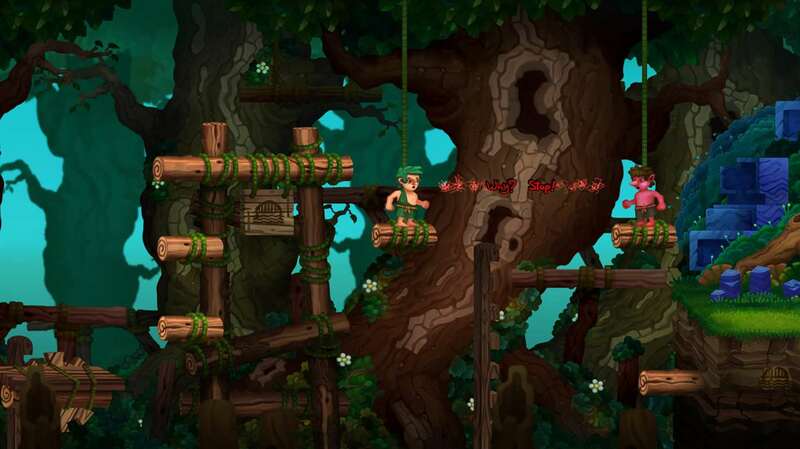 Huge thanks go out to Michael for sparing us some of his time in the build up to The Path of Motus releasing on Xbox One, PS4 and PC on July 17th 2018. Make sure you keep an eye out for our full review and if you have been taken in by what he has created, a little purchase should be on the cards.